Service to Derriford Hospital Monday to Saturday with Service 61 operating every 20 minutes to Transit Way with one bus an hour operating to Derriford Hospital, Service 62 also operating every 20 minutes with one bus an hour operating to Derriford Hospital. Both together providing a bus every 30 minutes between Transit way and Derriford. To achieve this Service 62 will not operate into St Pancras as originally proposed with St Pancras being served by the Service 61 every 20 minutes. 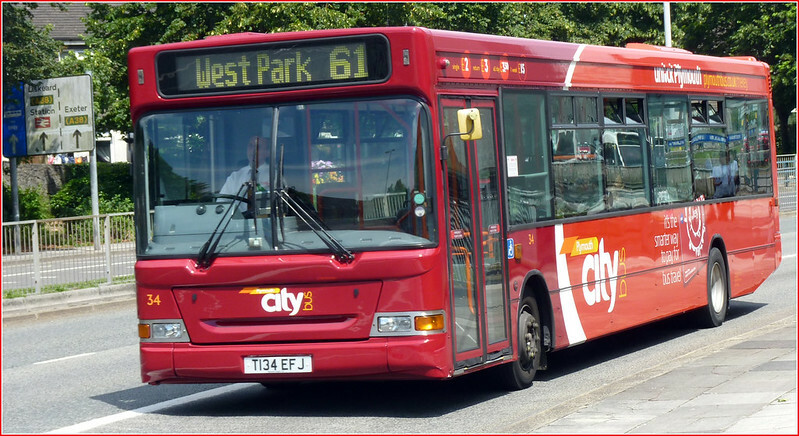 Buses providing a Service 61 to Transit way will on most occasions operate its next trip as a service 62 to the City Centre (and vice versa) thus providing new journey options connecting Brake Farm with Honicknowle and West Park. New Service 61 and 62 would provide departures off Transit Way every 10 minutes for most of the day for the City Centre. This Service has been retimed to provide improved arrival times at Derriford Hospital. 152 has been so well RETIMED ...we don't have it anymore :( ...But who on earth needs to go to Derriford Hospital anyway ?